There are film production trucks outside the Hunch offices again on 21st Street. 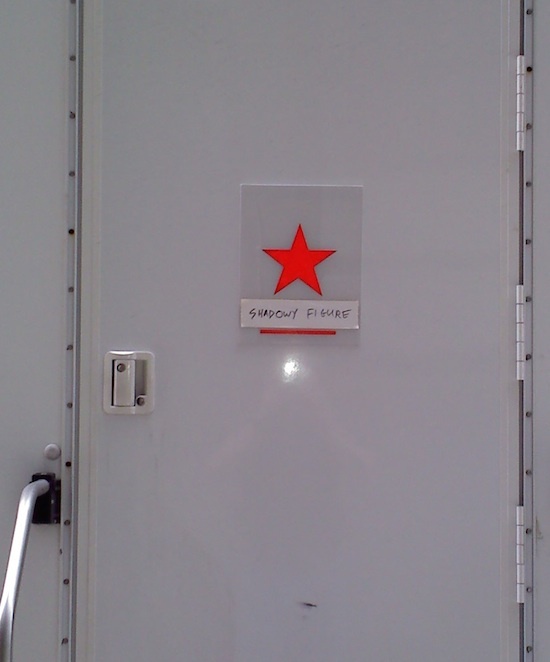 I’m not sure what movie or TV show they’re filming this time, but the name on one dressing room trailer door did catch my eye. The handwritten sign says “Shadowy Figure.” How cool is that? First off, it would be great just to be said Shadowy Figure in the production. But to have your own Shadowy Figure mobile dressing room? Now that’s something.